Alarm System Registration: City of Medicine Hat Bylaw 3716 requires all security alarm systems to be registered prior to becoming operable. 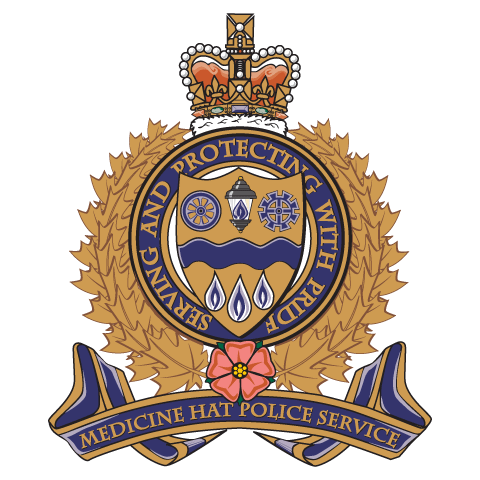 To register a security alarm system complete the Alarm Systems Registration Form and return it to the Medicine Hat Police Service by mail, fax, email or drop off in person at 884 2nd Street SE, Medicine Hat. Once registered you will be provided with a sticker with a registration number to place on your alarm system panel. Burning Bylaw Fact Sheet: Permits are required for fire pits, outdoor fireplaces and barbecues (fire receptacles) for the purpose of cooking or obtaining warmth, provided the appliances for cooking or obtaining warmth are used on the property of the resident, or in a public area at a location approved by the authority having jurisdiction. Parking Offences: Parking in the City of Medicine Hat is regulated by both the City of Medicine Hat and the Traffic Safety Act of Alberta. If you wish to appeal a parking ticket complete the Parking Ticket Appeal Form and return to the MHPS within fourteen (14) days of the date the ticket was issued. Property Standards: Unsightly property is a property that, in the opinion of a Bylaw Enforcement Officer, is detrimental to the surrounding area because of its unsightly condition. Secure Loads: City of Medicine Hat Bylaws 1805 and 1556 prohibit waste from being transported in a vehicle unless it is covered and properly secured to prevent it from coming off or out of the vehicle or trailer it is being transported in. Tobacco Reduction: Peace officers as well as Inspectors within the Tobacco Enforcement Unit of the Alberta Gaming and Liquor Commission enforce Section 7.1 and 7.2 of the Tobacco Reduction Act. Charitable Donations vs. Dumping: In January of 2013 several local charities, community members and representatives of the City of Medicine Hat came together to form a united front against illegal dumping at charitable donation sites. The goal is to raise public awareness about acceptable donations vs dumping. Dumping is against the law and many people are an unaware that your favorite charity is being charged to dispose of these unusable items. The local non-profit organizations appreciate all acceptable donations and the communities continued support. Being a Good Neighbour: Here are a few tips for maintaining safe, attractive neighbourhoods that are pleasant for everyone. These documents are provided as Adobe PDF files . You will require the Acrobat Reader plugin to view and print them.